The Baha’is of Iran Celebrate in Unity. The Baha’is of Iran witness what Abdu’l-Baha has taught them, freedom is from within. They are celebrating before the whole world that ultimate victory is won by spiritual powers of love, unity, patience. Real victory is Victory Over Evil Through Perseverance, Patience and Aligning Themselves with God’s Will for all mankind! That will today is achieving the oneness of all humanity. It is the Islamic government of Iran who has been in the prison of hate, violations of human rights, and fighting the Cause of God, all be it in vain! I pray they wake up!! Mr. Naeimi is one of many angels who will testify before God, of the injustices perpetrated by the Islamic Regime of Iran in the name of Islam and Muhammad weeps at what atrocities is inflicted on the innocent people of Iran http://Afif Naeimi, the last member of former #Yaran group, ended his prison term today. Yet, Iran’s persecution of the Baha’is continues. https://news.bahai.org/story/1302/ #Iran #Bahai #humanrights #AfifNaeimiin His holy name1! What a shame! The Islamic Republic of Iran, has systematically done everything in its power to decapitate the angelic Baha’i community of Iran, Little do they know …. Little do they know that although these angels have their feet on the ground but their reality is of a different nature. ” They live in the world but are not of it, their thoughts being continually in the world of the spirit.”They live to follow Abdu’l-Baha, the true example of the Baha’i life who spent much of His 80 years of life in prison and exile at the hands of Persian Empire and Ottoman Empire but Abdu’l-Baha said, he was never in prison since the only prison is the prison of self. Saints are men who have freed themselves from the world of matter and who have overcome sin. They live in the world but are not of it, their thoughts being continually in the world of the spirit. Their lives are spent in holiness, and their deeds show forth love, justice and godliness. They are illumined from on high; they are as bright and shining lamps in the dark places of the earth. These are the saints of God. The people of Iran have discovered the power of this light shining from the faces of their Baha’i neighbors and gradually rising to the blessed occasion of seeking the company of the Baha’i community. This gradually developing discernment and discovery of the angelic nature of the Baha’i community of Iran is what frightens the Islamic government of Iran the most!! Baha’u’llah’s teachings was taught through the towing character of Abdu’l-Baha as He himself braved the journey of exile and imprisonment for over 40 years. He invited the believers saying: “Look at me, follow me, be as I am.” The Baha’is of Iran have this high goal at the center of their minds and hearts. May they achieve it. The task before the Baha’is is monumental and leaves no time for distraction. My hat is off to the brave Baha’i community of Iran. I hope the status of this meek and peace loving canary (The Baha’i community of Iran), in the mine captures the attention of the whole world specially the ones in the media who care about their own air and ability to stay alive. Baha’is of Iran are indeed the canary in a suffocating mine. Does any one care?!!! More than 20 Baha’is have been arrested in various cities in the provinces of Tehran, Isfahan, Mazandaran, and East Azerbaijan in the last two weeks alone. Over 90 Baha’is currently remain imprisoned in Iran. Up to a dozen Baha’is have in recent days also received discriminatory and harsh court verdicts across the country. Nine Baha’is in Isfahan were falsely charged with “membership in the unlawful administration of the perverse Baha’i sect for the purpose of action against internal security” as well as “engaging in propaganda against the regime of the Islamic Republic” based on various absurd pretexts, including praying with others. The nine Bahá’ís were served a combined sentence of over 40 years of imprisonment. In some instances, shopkeepers notified the authorities in advance that they would be closing their shops for the holy days. The authorities consequently sealed their shops before the holy days took place. In other cases, after their shops were sealed, the business owners sought to rectify the injustice by approaching the appropriate authorities. Instead of unsealing their shops, they were presented with a court summons on the basis that they had closed their businesses to celebrate their holy days—despite the fact that Iranian labour laws state that shop owners may lawfully close their businesses for 15 days in a year without providing reasons for doing so. 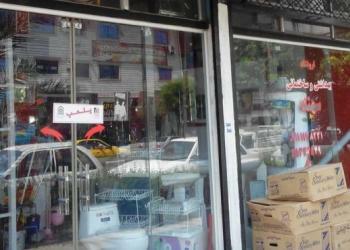 Hundreds of shopkeepers across Iran have had their businesses shut down by the authorities in recent years for temporarily closing them to observe Baha’i holy days. Many of these shops remain sealed to this day, depriving their owners of earning a livelihood for their families and creating severe economic and humanitarian hardship. 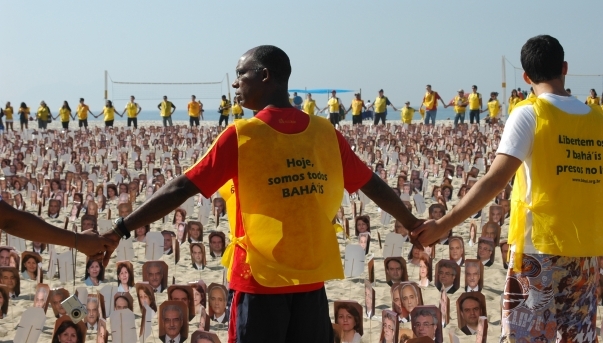 Persecution against the Baha’i community also extended to cemeteries and burials. Most recently, the body of a Baha’i that had been laid to rest by her family in a Baha’i cemetery was subsequently exhumed by the local authorities—the fourth case of exhumation experienced by the Baha’is at this same location in recent years. “These latest actions by the authorities are deeply concerning and mark an escalation of pressure against the Iranian Baha’i community, including through economic, social, cultural and educational discrimination,” said Diane Ala’i, Representative of the Baha’i International Community to the United Nations. “Despite all evidence to the contrary, Iranian authorities repeatedly and brazenly deny targeting Baha’is due to their religious beliefs, but this has no credibility in the international community. Indeed, last week, the international community delivered a strong signal to the Iranian officials by adopting a resolution at a committee of the UN General Assembly, and yet, the government continues to flagrantly violate international norms and standards as well as to contradict its own laws,” Ms. Ala’i added. My deepest prayers comes your way my friends. This is a very difficult and testing time we are all living and witnessing. It seems like all humanity is sitting in an ever heating pan with the whole world boiling in it. The news and all that is around us is most adversarial and unfiltered exposure to it can be more than we can take. We need to focus on what we can do and leave what we cannot to Him. Let us dwell on the pleasant thought of life such as us keeping each other in our prayers and doing good by making a difference in the lives of others. We can only change and lift the whole world one soul at a time. Let us ask for the wind under Noura’s wing and the rest of humanity will feel loved and rise to do good. “قلوب مؤمنین و مؤمنات را بلاحق محزون نمودن اَشـَدّ است از تخریب بیتالله. He is, in truth, the Omnipotent, the Unconstrained! O Lord of Names and Fashioner of the Heavens! Free Thy lovers from the prison of the enemy. Verily, Thou art the Sovereign Ordainer of Thine irrevocable decree. He who alone shineth resplendent on the horizon of creation. O Everlasting Root! By the life of the All-Glorious, deprive them not of hope, nay rather aid and assist them. Verily, Thou rulest as Thou pleasest and within Thy grasp lie the kingdoms of creation. The fangs of Thine enemies have been whetted, ready to bite into the flesh of Thy lovers. Protect these companions, O Thou Who rulest over all humankind and art the Judge on the Day of Judgement. Noura Pourmoradian Is Arrested In Shiraz In The Name of Islam! They Arrested Noura in SHIRAZ In The Name Of Islam and The Children Stopped to Drum!! 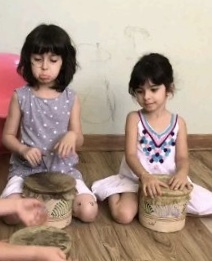 Little children in Shiraz are drumming for the safe release and return of their beloved music teacher Noura Pourmoradian who was arrested a few days ago while in class teaching them songs. Her arrest was in the name of Islam! Authorities told Noura’s parents that Baha’is couldn’t teach children, according to the Islamic Republic laws. Which means; Receiving and delivering education is a crime in Iran for Baha’is according to Islam and their daughter has crossed the RED line. They looked Noura’s parents in the eyes and said her crime is of a most serious kind while escorting Noura to await her sentence behind bars !! A few days ago, in the name of Islam, a band of male and female agents of the Islamic Republic Regime in Shiraz raided the school, marched through the school ground, barged into the preschoolers classroom, frightened the children, ordered Noura to get up as children watched in horror and arrested her. They put handcuffs on Noura, yanked and shoved her against the wall. They confiscated Noura’s cell phone, checked her body and, like a criminal, took Noura away to prison!! All in the name of Islam, all in the name of Islam! Since then the children do not want to come to school. Those who do, cling to their parents and drum with sad faces, their eyes fixed on the door hoping Noura walks in with her radiant usual smile. The children are worried for their teacher’s safety and pray for her safe return. They do not understand why Islam is so scary and unpredictable!! They want their classroom once again filled with songs and music. They want to sing with Noura!! They want to sit on her lap, hear her melodious voice, drumming happy drums!! They want to like Islam too! Parents and teachers are stunned, saddened, ashamed and angry about what happened in the name of Islam. They say; “We have no problem with any one having a different belief. We respect one another and we are happy as long as we share a common humanity.” Parents and teachers try to comfort the children and wonder where is God, where is Prophet Muhammad? One father cries and says; I wonder if He is watching and weeping from above on what is being committed in the name of Islam! Noura is my young student in Iran. Her cheerful and hopeful spirit lifts my heart. Her determination, zeal and perseverance is amazing to watch in the face of ongoing injustice perpetrated on her family and others by the Islamic Republic Regime of Iran. As an Iranian American psychotherapist living in US for over 40 years, I see the Baha’is of Iran as beacons of love, unity and education for oneness of all mankind. I remember a Couple of years ago suddenly Noura’s mom disappeared. The family did not know of her where about! Baha’is of Iran are well too familiar with the disappearing of their loved ones only to learn later that they are arrested and imprisoned in the name of Islam. It is all about a systematic plan for decapitating the Baha’i community by making it impossible to be a force for illumination in Iran. 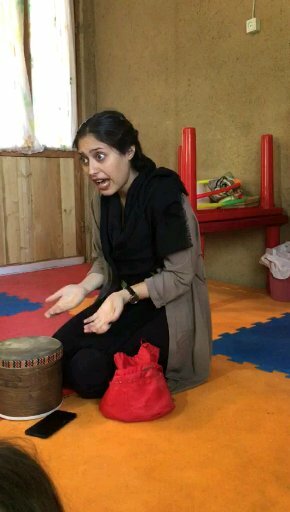 Noura’s mother was arrested twice on account of the same supposed crime; teaching parents and children the virtues of human kind through songs and stories in her own home! Noura witnessed the courage and perseverance of her mother and father dealing with Islamic Republic authorities cruelty and injustice all in the name of Islam. The parents of the children were all summoned to testify as witnesses to Noura’s mom’s crime. Almost all refused to betray their loved teacher and respected friend, all stood firm in support of Noura’s mom’s right as people of conscience who should worship as they choose under Islam. Baha’u’llah, Noura says, has taught us to love our enemies which means to me to wish the best of this world and the next for all. I want to do as Baha’u’llah teaches. Loving humanity is a teaching of God for today. Educating children with the spirit of service is an act of worship according to Baha’i Teachings. Why am I barred from my act of worship in the name of Islam? How Do I know Noura? I was teaching Noura child development from a multicultural perspective. Noura has been barred from attending college because of being a Baha’i. Not having the chance to go to university in Iran made her sad inside. She dreamt of being able to study and to learn. She loves music and she loves to teach. “Music has helped me to connect with my spiritual powers and the joy within”; she once shared. Noura has a beautiful voice and when she chants the Baha’i prayers, it feels like angels come around and listen. 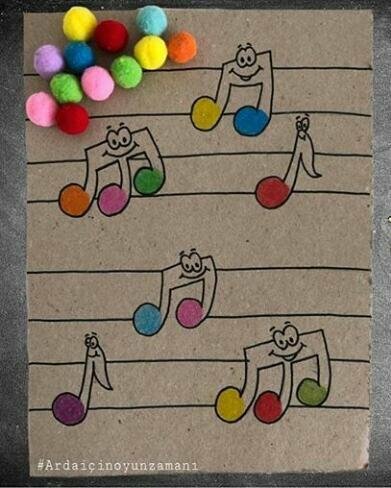 “As a Baha’i child I have learned that music is the ladder of our soul. I see how children respond to moral education when I combine music and uplifting words. Their humanity comes out they are inspired to serve their fellow man. Children in Iran have so much sadness. As a Baha’i I believe education of their heart is the heart of education.” Noura told me. It is an honor for me to serve as her mentor. Would you please join me to speak up in defense of Noura? Would you ask your friends, your government, your representative, your teachers, your students, your neighbors, your family, to join us to shine a global flood light on the darkness that has suffocated Iran for so long? Would you speak up in support of the human rights of teaching all children what it means to be human? Would you please make an effort to include in your conversation the importance of basic human rights for the Baha’is of Iran and specially Noura Pourmoradian and all innocent prisoners in Iran. The children, their parents and the school want the Islamic Republic Regime of Iran stop demonizing the Baha’is of Iran. They want the authorities to know there is no need for them to be afraid and scared of the influence of the Baha’i teachers in Iran? They want their children to have dedicated teachers such as Noura and her mom. What does the Islamic Republic have to loose by welcoming the Baha’i teachers to teach children about oneness of all humanity, elimination of all prejudice, equality of women and men, independent investigation of truth, world peace, oneness of all religions, oneness of God, harmony of science and religion, and discovery of spiritual solutions to the economic problems of the world? What harm comes to Islamic Republic of Iran if children learn to respect and value humanity in every one? 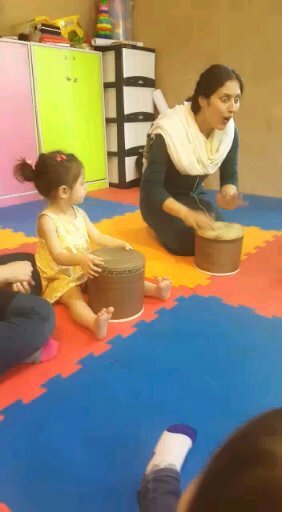 Let Noura go, let Noura go, Let Noura go, the children drum!! Will you echo their drum? Will you pray for the universal music of love and respect for Basic human rights? Will you raise the question of until when “Receiving education and delivering education is a crime in Iran for Baha’is”? Will you join the children and all people of good will in concert in the name of God, the loving creator of ALL MANKIND announcing that education is never a crime!? Verily, Thou art the Bountiful,the Mighty, the Omnipotent, the Unconstrained. There is none other God but Thee, the God of love and tender mercy, the All-Glorious, the Ever-Forgiving. Thank you for lending your voice in defense of the defenseless and the meek. Happy Birthday Baha’u’llah for Teaching How Humanity Can have the Good of This World and the Next.! The Baha’is of Iran have been the target of the non stop attacks of the Islamic Republic Regime with all its powers and forces. From the onset of the revolution, secret documents were found that revealed the plots of the Islamic Regime to decapitate the peaceful and vibrant Baha’i community. The forward looking teachings of the Baha’i Faith is most threatening to the backward mindset of the regime. One strategy that has worked for the Regime is the systematic arrest, intimidation, threats of execution, and finally asking for a hefty Bail (non refundable by design) to let the innocent go free. The Baha’is of Iran, have indeed proven the claim of Baha’u’llah in creating a new race of man who is independent of aught else except God. The whole world is in awe to witness, their integrity, nobility of spirit, their spiritual sense of priorities preferring the love of humanity over and above every thing else and willing to pay for it. Recently they had another multidirectional attack by their government in different parts of the country. May God reward every one with what they seek. The Baha’is want to love humanity so they live their value of oneness of all humanity. The Islamic Regime loves to destroy whoever loves humanity and celebrates unity in diversity and they cultivate hate and deceit. Mrs. Jan-Nesar was arrested and imprisoned for her belief in the Baha’i Faith and service to teach children in the community. The family has paid the hefty bail to get her out. I am moved by their sense of faith to not even be burdened by the cruelty and might of their government. They just practice what they believe to be good; honesty, integrity, and love of God exemplified in the unconditional love for all humanity. مهناز جانثار که فعال حقوق کودکان است،برای دومین بار در بندرعباس دستگیر شد. ایشان در سال چهارم دبیرستان به خاطر اعتقاد به دیانت بهایی از دبیرستان اخراج شدند؛ اما او نه تنها دست از یادگیری و تحصیل بر نداشت بلکه با عزمی قویتر در موسسه علمی بهایی در رشته مشاوره تربیتی به تحصیل ادامه داد. پس از اتمام این دوره بخاطر عشق و علاقه به کودکان تصمیم به کمک به مشکلات کودکان گرفت و به همین منظور در زمینه اختلالات یادگیری کودکان ،مدرک خود را از جهاد دانشگاهی تهران اخذ نمود. در آغاز کار با روانشناسی شروع به همکاری در مرکز مشاوره خصوصی نمودند و برای سخنرانی در بیمارستان روانپزشکی بندر عباس دعوت شدند، با معرفی نوع و شیوه کار با کودکان مورد استقبال روانپزشکان کودک و روانشناسان قرار گرفت که متاسفانه بدلیل منع کار دولتی با وجود نیاز به کار و تجربه ایشان نتوانستند همکاری خود را ادامه دهند. بعلت مهاجرت روانشناس همکار، خانم جانثار کار خود را در منزل شخصی خود ادامه دادند و دوره مونته سوری و موسیقی درمانی هم در جهت کمک و درمان به کودکان آموختند.اما پس از مدتی در خرداد سال ۹۱ مامورین اطلاعات به منزل ایشان یورش بردند و او را بازداشت کردند ، پس از مدت ۲۳ روز با قید ضمانت آزاد شد. پس از آزادی دست از تلاش در جهت کمک به کودکان بر نداشت با اینکه می دانست امکان و خطر بازداشت و تهدید مجدد وجود دارد. مهناز با صبوری و با عشق سالها به بچه ها و مسائل تربیتی شان خدمت کرد.تا اینکه در سال ۱۳۹۵ حکم او صادر و به دو سال محرومیت از کار محکوم شدند ولی در ۲۷ فروردین ۹۶ دادگاه تجدید نظر این حکم را به ۴ ماه کاهش دادند. ایشان خوشحال بودند که هنوز انسانهای شریفی در دستگاه قضایی وجود دارند که صدای او را می شنوند و با تعصب قضاوت نمی کنند، اما در ۲۹ فروردین سال ۹۶ برای بار دوم مامورین اطلاعات به منزل ایشان هجوم بردند و او را دستگیر کردند هم اکنون ایشان در باز داشت به سر می برند. This is what Baha’is believe and practice. It is up to the rest of the world to have the honor and privilege of speaking up for any one who resembles angels in this world occupied by Dart Waders of all sorts. Let us share the news so we share the nobiliity of their spirit. The pictures of recently released Mrs. Jan-Nesar and her family, speaks a thousand page. If this is who we as human beings can be, I have hope in humanity.